Designed by Makoto Koizumi, the Tetu Cast Iron Clock blends Japanese minimalism and centuries-old manufacturing techniques to offer a creative interpretation of a classic timepiece. Like the iron cast kettle from the same collection, this clock has won the Good Design Award. The material usually used for kitchenware is used here to lend weight, both literally and figuratively, to the act of relaying the passage of time. Created to last, the iron has been fired to oxidize it, giving the surface an anti-rust layer that also adds texture to the design with its smooth pebble-like pattern. 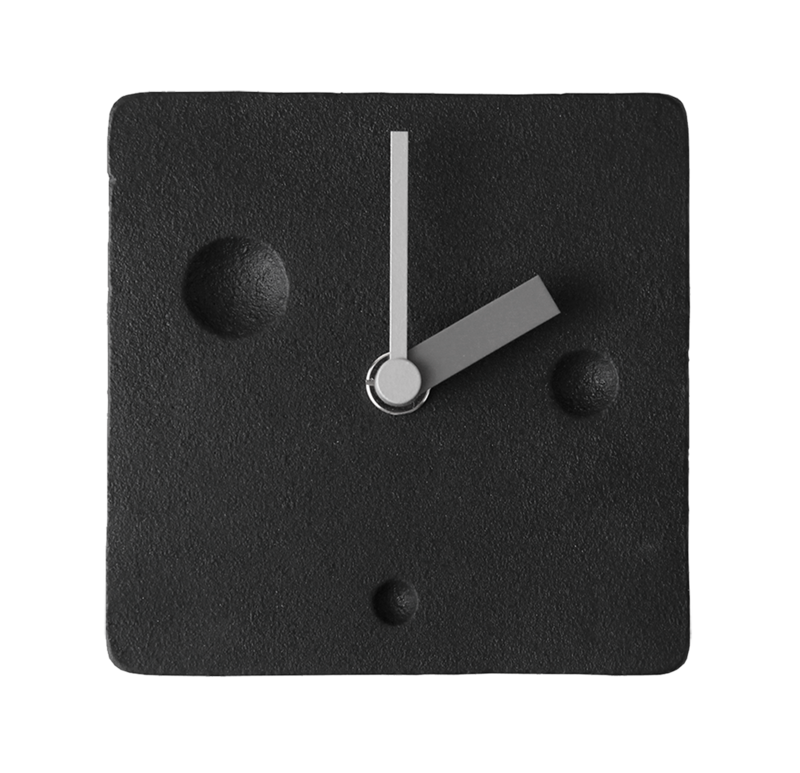 Two angular hands in light gray and three craters bring a touch of creativity to the clock and enhance its modern appeal, ensuring it will make a striking addition to any interior. Made from durable cast iron in the Iwate Prefecture in Japan, the Tetu Cast Iron Clock will stand the test of time.